HNHH premieres Label No Genre's new track with B.o.B, Lin-Z, and London Jae. It's on "Fleek". It was only a matter of time. The term "Fleek" was first made in reference to a particularly outstanding eyebrow game, but has since graduated to a descriptor of just about anything. B.o.B demonstrates as much on his new track, which just happens to be called "Fleek". 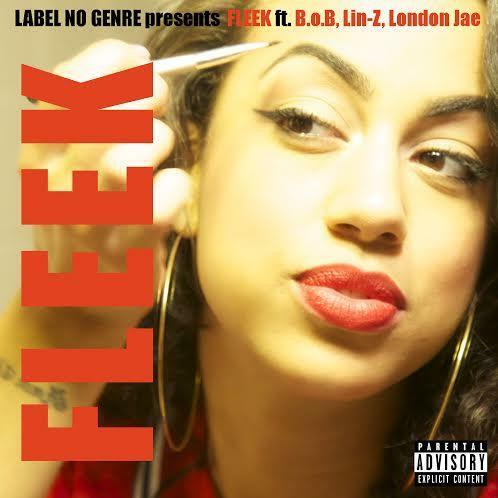 Bobby Ray is joined by No Genre artists Lin-Z and London Jae on the label's new single, as they each brag about everything they have that could possibly qualify as being "on Fleek" (including eyebrows). This could be the beginning of a new trend in rap, so just remember you heard it here first. B.o.B's latest mixtape, No Genre 2 is still available for free download.